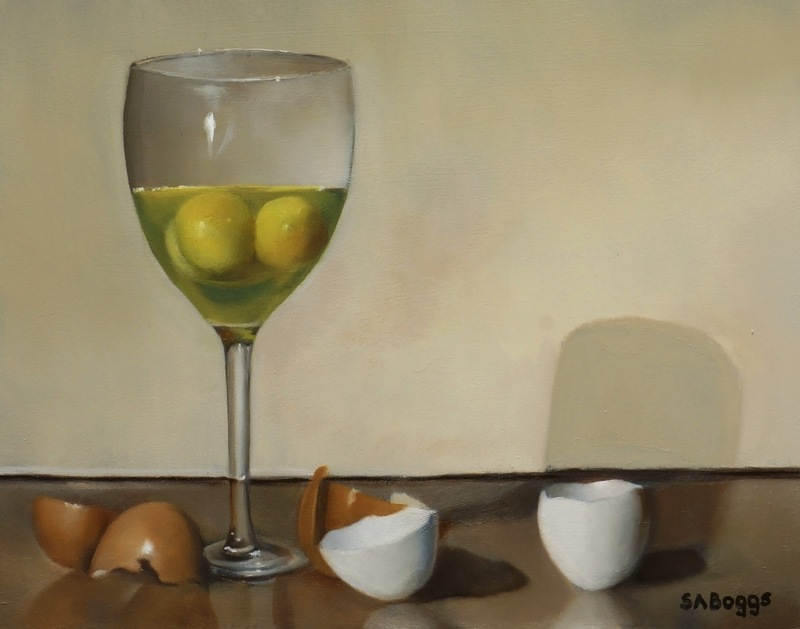 These are three eggs in a wine glass. I had decided to do a painting with eggs several weeks ago and I couldn't figure out how I wanted to do it. 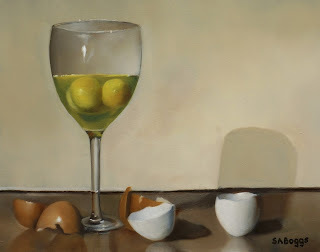 I decided on this composition with the eggs in a glass surrounded by the shells, partly because it is a bit different and partly because I found it interesting. In the end the painting was a little more difficult that I thought it would be initially because of the subtle blending required for the shells. I really like the painting, I hope that you enjoy it too!